Draining baby Pinot Noir from Tankito before pressing. Bulldog, prepping to rack lots of 2010 Pinot Noir from barrels to tank for blending, then back to barrel for further elevage. 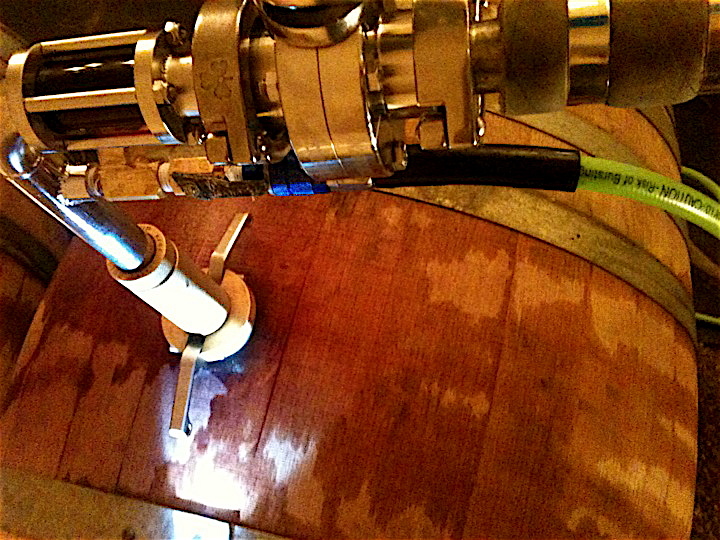 Regrafting Dijon clones to Burgundian suitcase selection massale at Bearwallow Vineyard, Anderson Valley, CA. Take note of the VERY dense planting: 7,700 vines per acre or 19,000 vines per hectare. 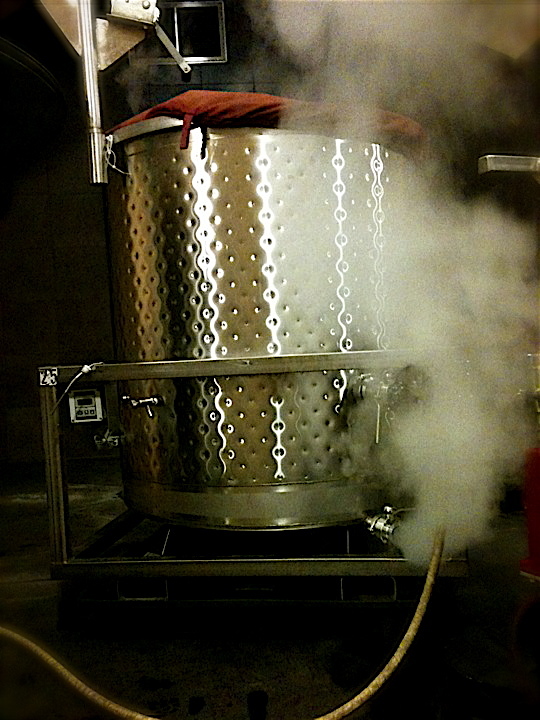 Steaming a Bulldog before racking. Steaming a Tankito, the 1 ton fermentation tanks. Pink Foam Monster. 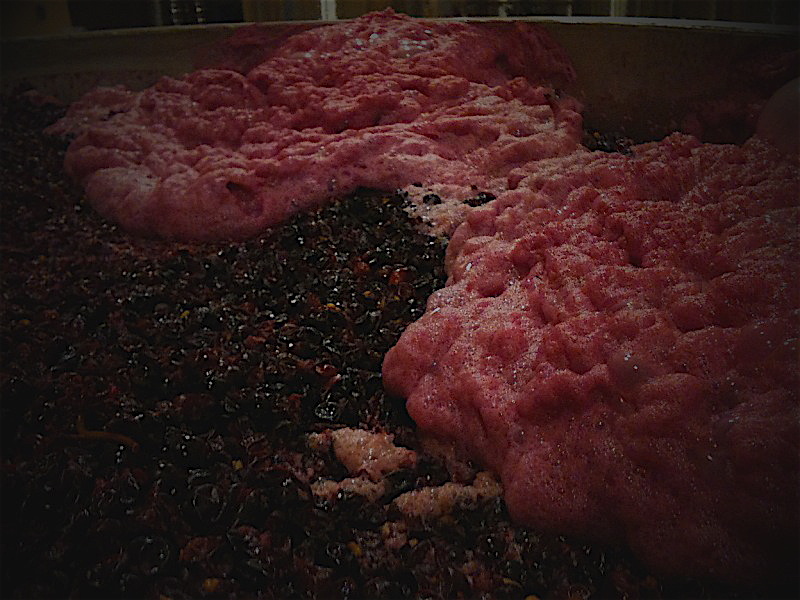 Native yeast fermentation of Pinot Noir. See the original, online here. Thanks to Kurt Brown for including me! Seth Long received a Bachelor of Arts in Environmental Studies and Geography from the University of Oregon in 2004. He worked in hospitality management for five years and, in 2009, began the process of becoming certified as a Sommelier through the International Sommelier Guild. He worked as an assistant Sommelier and as a host in tasting rooms in addition to being a private wine consultant and tutor. Later, he took part in two vintages as a winery intern in the Willamette Valley, Oregon in 2009 and 2010 and traveled to Central Otago, New Zealand to participate in the 2011 harvest. He is currently finishing up his fourth vintage at Rhys Vineyards, in the Santa Cruz Mountains. He plans to participate in vintages in Victoria, Australia in early 2012 and Burgundy, France in late 2012. He loves terroir-driven wines that are expressive of place, vintage and transparent to the viticultural and vinification methods. When he is not working or sleeping, he likes photography and art, hiking, cooking and producing music. KB: You’re a good old American boy and I’ve know you since you were a child. Where did your interest in wine start, and how did you wind up at a winery in New Zealand? SL: My first memories of a peaking interest in wine began after I graduated from the University of Oregon in 2004. At that post-graduate crossroads of now-what-the-hell-am-I-doing-with-my-life, I settled for a full time job as a restaurant manager, declining an offer to join Argyle, a winery in Dundee, Oregon, as a 2004 harvest intern. Over the course of the next four and a half years I served and drank a rather limited selection of wines, though I honestly enjoyed Mint Juleps, French 75’s, Highland scotch and sips of Anejo tequila much more than wine. If anything, I began to find an affinity for Oregon Pinot Noir and started enjoying a bit of wine with dinner here and there. I moved to Portland, Oregon in mid-2009 to study with the International Sommelier Guild. This is when I truly began to appreciate wine. The course work required of me complete immersion in countless books, countless bottles and maps. I spent hours upon hours researching wine history, wine culture, geography, climate and production philosophy, in addition to memorizing countless regions, grape varietals, service techniques and every last odd bit of detail regarding wine. It was also about tasting wines from around the world with like-minded individuals. Both in structured tastings and late night gathering with a select group of friends, I began to taste everything I could. This was when producers such as Krug, Conterno, Dauvissat, Bruno Clair, Lynch-Bages, Guigal and Lopez de Heredia, opened my eyes (and my bank account) to what fine wine was truly about. Though the dedication to learning everything I could about wine was gratifying, the fact of the matter soon became clear: I had no idea what it took to make wine. I wanted nothing more than to understand wine, from the roots up. I thought back to the offer to work vintage at Argyle in 2004 and knew exactly what I needed to do. It was in the late summer of 2009 when I began interning at wineries to learn the craft of making wine. After I passed my Certified Sommelier exam I was fairly certain that going back into the restaurant business as a Sommelier was not going to be as fulfilling as a career in winemaking. Or at least, I thought I may as well spend a few years grinding away in winery cellars while I could. It was still a fairly romantic notion at this point, but I would soon dispel that myth. It was during my second vintage that the wine production bug bit me. I loved every last bit of it, the hurry up and wait/rush of winery work: then hours of cleaning, moving heavy things and then there was more cleaning and moving heavy things, ultimately leading to a few precious moments when we could take care that the fruit, harvested at the (ideally) optimal level of ripeness, was thoughtfully transformed into a beautiful, transparent and delectable beverage. The romanticism now began to wear away, with every cut, bruise, ache and pain. My hands, my clothes and my soul were stained with dirt and grape juice. I more or less stopped reading about wine regions and started researching biodynamic viticulture and ‘natural’ vinification philosophy. I drank quite a bit or Oregon Pinot Noir and Chardonnay over dinner with my girlfriend, but my vinous affections resided with red and white Burgundy, and the precious bottles from producers such as Roulot, Mugneret-Gibourg, Ramonet, Roumier and Armand Rousseau. It was during the latter half of my second internship during the fall of 2010, at WillaKenzie Estate, a winery in Yamhill, Oregon, when the idea of traveling to New Zealand to make wine became a reality. I was offered a position as a winery intern at Akarua, a winery in Bannockburn, Central Otago, New Zealand for 2011 harvest. It was a fantastic opportunity to get out into the world to work and travel. Most winemakers have traveled a bit for work, in order to experience different methods of viticulture and vinification, to learn new techniques, see distinct climates and their effect on the harvest and the ensuing production. I felt I needed this, or rather, my commitment to wine required this of me. So I made plans to get to New Zealand a few weeks early in order to travel around and taste wine. During the bitter, wet and cold early winter of 2010, as I was researching New Zealand wine producers and regions at night, I took an opportunity to work with the vineyard crew at WillaKenzie Estate by day, to save a bit more money before flying across the world. Those two months pruning and pulling canes from the trellis encapsulated the hardest work I have ever undertaken. I went home each night cold, wet, exhausted, yet strangely, energized. I knew there would be a bottle from my quaint little cellar that would motivate me. The romanticism had completely worn off by this time but, like a game of poker, I was all-in. KB: That’s a more wonderful answer than I could have hoped for! But let’s talk Oregon wines for a moment. It’s pretty clear by now, to American wine buffs, that Oregon makes exceptional pinot noir for the domestic market. It’s not burgundy, of course, but what else is? My favorite used to be Williams Selyem (in California), which still makes great wine, but Oregon is producing fine pinots that have certainly come of age. SL: Indeed, Oregon is making some exceptional Pinot Noir, especially in the northern end of the Willamette Valley and for such a young industry, huge strides have been made in the last few years with the delineation of the sub-appelations of the Valley. Some of my favorite producers are dialing it in no matter the vintage characteristics. California also has some stellar producers making site-driven, transparent and complex Pinot Noir. Superior, no matter where they come from―be it Burgundy, Oregon, California, New Zealand, Australia―is a relative term. The beauty of wine is that it is a beverage that is subjectively enjoyed, a visceral beverage.There isn’t much Oregon Pinot produced in the grand scheme of things (about 10,000 acres are planted, about a sixth of the size of Burgundy). It sells well at modest to high prices in retail and in restaurants. That says a lot. The best producers sell out, every year. I know some serious Burghounds that save some space for certain Oregon Pinot Noir. It takes up the lion’s share of my cellar, but that’s mainly because I can’t afford to drink 1er Cru or Grand Cru Burgundy as much as I desire. I’m sipping on a glass of some interesting Oregon Pinot now, a 2006 Jardim das Rochas Cuvee II, produced by Walnut City Wineworks. Seemingly more mature than it should be, but its effusive with aromas of bright red fruit, herbal floral notes along with dried clay while some whole cluster cinnamon stick resides behind a toasty oak character. It is high-toned and a bit hot in terms of alcohol (2006 was a warm vintage, not my favorite either) but give it a few more years to integrate and calm, one might be quite satisfied by it. As I mentioned, Oregon’s Pinot Noir industry is still quite young. The first Pinot Noir planted in the Willamette Valley was in the southern edge of the Dundee Hills by David Lett of Eyrie Vineyards in 1965. Since then it has grown from the ground up, developed by a small cadre of energetic, eclectic and brave souls seeking to define new-world Pinot Noir, mainly as opposed to that of California. In general, Oregon’s Pinot Noir has a brighter acid profile and the cool-ish, long (late) growing season helps slowly develop the flavors and phenolics in tandem with sugars. And you are right on with your point that there is not much that speaks in the velvety vinous tones and liquid red cadence as red Burgundy outside of Burgundy. For what it is worth, Oregon does a great job all in all. Less of California Pinot Noir achieves a level close to new-world Burgundy as Oregon does, in my opinion, but again, Burgundy is Burgundy and only Burgundy is Burgundy. Most Pinot producers no matter where they are based use Burgundy as the benchmark, as they should. 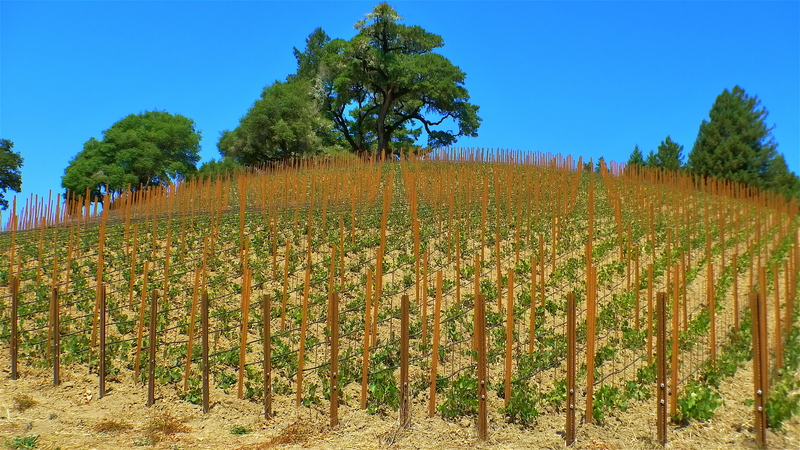 Even though many of them have a long way to go, many growers and winemakers are doing all the right things, such as dry-farming, utilizing organic and/or Biodynamic viticulture and trying to match site characteristics with clonal material. The best producers are hands off in the winery, relying on native yeast for fermentation, don’t use enzymes or yeast food and are judicious with their use of oak during elevage (barrel-aging). That being said, my views on wine have changed dramatically over the last two years. Whereas before I’d look for all the attributes that I liked in a wine, now I am somewhat of a curmudgeon. I have developed a winemakers palate, always critical first, trying to ascertain the viticultural methods, vinification techniques etc., before I an look for what I enjoy. This comes from working for winemakers and tasting with winemakers. KB: Thanks for those hints, tips, and insights into the Oregon pinot noir industry, and into the world of wine in general. If you have cultivated the palate of a sommelier, you have also developed the vocabulary of a true professional. But I’d like to finish by asking you to describe, in concrete terms, the physical part of winemaking at its backbreaking best. I imagine that, as a young intern at that winery in New Zealand, that you did a lot of the grunt work and left the vinification to the elders. Describe a typical day, from dawn to dusk, what you had to do and what it felt like and what the real work of “farming” vinestocks is like. SL: The life of an intern can be quite backbreaking, but there is also a zen-like quality to much of it, at least for me. 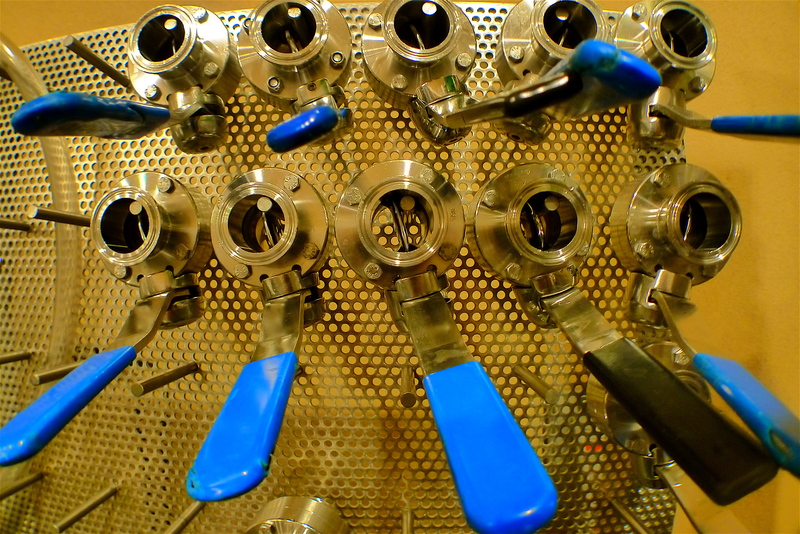 Winemaking is very much about cleanliness and organization, so if you are obsessive compulsive like myself, much joy can be found from things like cleaning floors, drains and tanks as well as organizing tank fittings and valves. An over-generalized way to understanding winery internships is that the job is “whatever it takes until it is done and clean”. A breakdown of tasks is something along the lines of 30% cleaning, 30% moving heavy things, 15% more cleaning, 10% processing fruit, 10% moving and interacting with wine, 2.5% more cleaning and 2.5% drinking beer. It takes a lot of beer to make wine.In most cases, the winemaker, assistant winemaker and/or enologist are the decision-makers regarding what happens and when it happens, who does it and how they do it. That being said, in the best cases it is up to the interns to complete work orders concerning all aspect of vinification including fruit processing, must management and chemistry, pressing, racking, barreling and overall winery cleanliness and organization. Different wineries and winemakers will obviously have distinct systems for how interns are managed and one of the wonderful aspects of winery work is the diversity of labor involved. Each day tends to bring distinct large tasks, though numerous small tasks are required on a daily basis and create a flow that eventually connects the process in its entirety. As far as New Zealand is concerned, the winery I worked at, Akarua, is conventional in every manner, which is not to say that they do not merit discussion. They farm estate vineyards, utilize cultured yeasts and ferment primarily in large format tanks (8 tons average) for reds and medium to large format tanks for whites, for the most part. My job duties on an average day included morning punchdowns with a pneumatic punchdown device, cleaning tanks, fittings and machinery with sulfur, citric acid and water, processing fruit without much sorting, forklifting, required yeast, acid and nutrient additions before beginning evening punchdowns and cleaning the floor and machinery. We used pumps to move wine and pressing took place in an 8 ton bladder press. There was always the odd task of topping barrels, checking bungs, cleaning drains, fixing hoses that blew, changing propane tanks, CO2 or nitrogen cylinders, gassing tanks and dumping salt in the water softener. Fairly straightforward and quite similar to many wineries across the world. The wines are correct and are all quite quaffable. My current position is at a winery, Rhys Vineyards, that is extremely terroir-driven. The wines are truly about vinously transmitting a sense of place and this begins with stellar viticulture from a year-round crew. The viticultural team farms 7 estate vineyards of about 40 acres with biodynamic/sustainable methods, including dry-farming whenever and wherever possible. The sites were carefully chosen because they have a high proportion of infertile, very shallow, rocky soils. 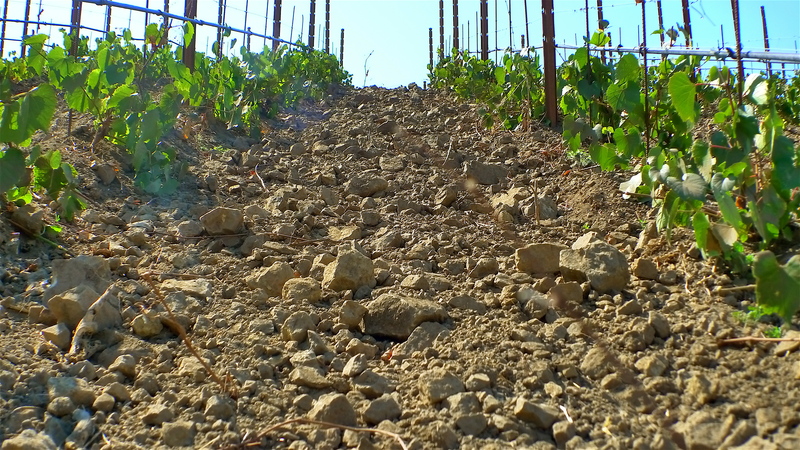 These soils are a key to understanding the Rhys wines. The clonal material planted at Rhys Vineyards is notable for its high density and its distinctiveness; most of the Pinot Noir and Chardonnay planted are “suitcase” clones from old and famous plots throughout Burgundy. The yields are typically very low and berries are small, on average. Since yields are low some fruit is purchased each year for a second label, called Alesia. No matter if the fruit is purchased or farmed, a great amount of man-hours and careful planning goes into each vintage, and I think this shows in the wines. As you wanted me to focus on vinification, I’ll leave the viticulture at that. The wines that come from each vineyard are all quite distinct because the vinification practices are minimalist in order to allow the sense of place to shine through. 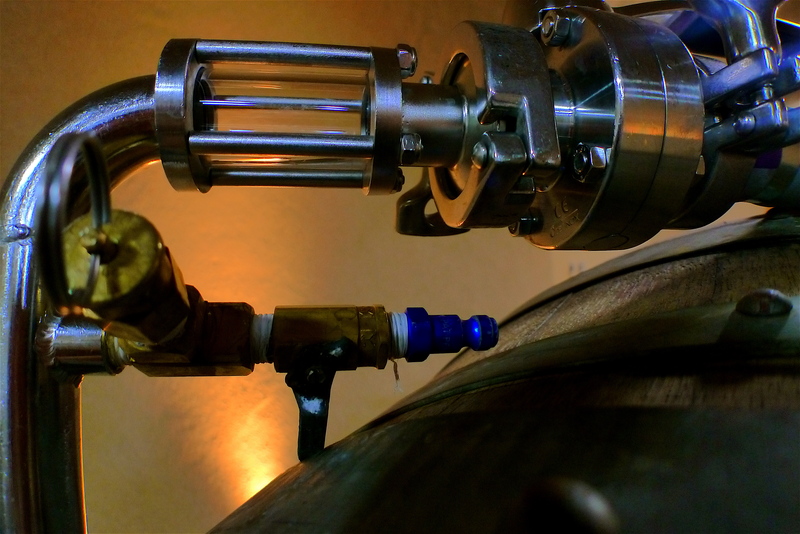 All fermentations take place in small 1 ton tanks (Pinot Noir or Syrah) or barrels (Chardonnay). 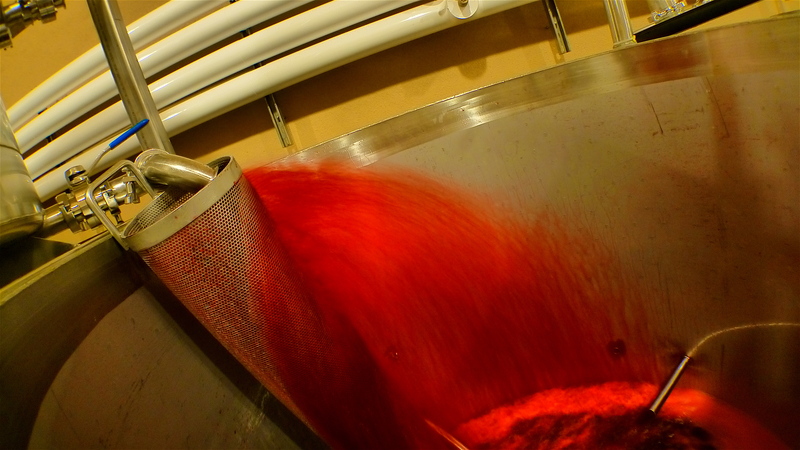 We utilize no cultured yeasts, enzymes or nutrients to assist fermentation and we use gravity to move juice and wine, with the exception of Syrah, which needs to be pumped and given lots of oxygen throughout its fermentation. Rhys is a huge proponent of whole cluster fermentation for Pinot Noir and Syrah whenever possible, which is also practiced at some of the most luminary wineries in Burgundy. Whole cluster Pinot Noir tends to be a bit more complex and austere than Pinot Noir that is de-stemmed prior to fermentation; there is a cinnamon stick, bramble and hay component to the wines that comes from stem inclusion. When it is down well, it can lend a level of complexity which is impossible with de-stemmed fruit. Some people despise this style of Pinot Noir and call out green notes in their reviews. But there are ways to do it right and for all intents and purposes, Rhys has it dialed more often than not. Green notes in whole cluster Pinot Noir can come from fruit picked when the stems have not lignified and there is still high sap flow, a function of the vine still in the process of ripening. Back to the site selection for a moment, I pointed out how Rhys carefully farms vineyards that are on shallow, stony soil. In most vintages of Rhys wines, these soils, combined with clonal selection and planting density, allow the fruit to ripen and the stems to lignify (turn brown and woody). This means that the sap flow decreases into the bunch and there are less green flavors left in the fruit, pips and stems, IF and ONLY IF the cluster is removed from the vine by cutting the cluster off the vine at the lignified section. This is easier said than done, but due to the precision and hard work of their vineyard crew, this detail is never overlooked and is a prime example how Rhys manages to include such a high proportion of ripe clusters with lignified stems in their fermentations. downs and must analysis. We use an ultra gentle and traditional technique called pigeage (say pee-jahjz) where I immerse the “cap” of the fermentation into juice below using my feet (fermentation: yeasts transform glucose and fructose into ethanol/alcohol and carbon dioxide, which is what pushes a layer grapes above the juice, creating the “cap”). It is time consuming and I clean my feet well before I start (with sulfur and tartatic acid). Pigeage is the best manner to viscerally understand fermentation dynamics; it amplifies your senses as you are “in” the process and you really begin to understand how healthy the fermentation is by smelling esters and feeling the temperature. After punchdowns I spray the cap with a dilute sulfur solution and take samples from each tank to measure brix (sugar content), pH (acid content) and temperature. Since we do not use cultured yeast, enzymes or yeast food, it is very important to understand how the wine is moving through fermentation. These numbers help us guide the wines carefully and honestly through fermentation to pressing. After morning punchdowns are complete I begin “bucket-overs” on tanks of cold-soaking fruit. Typically Pinot Noir and Syrah cold-soak at 48F for five days before we warm the tanks using glycol jackets to 75F, where fermentation starts with native yeasts within a couple days. Bucket-overs are a way to keep the top layer of fruit saturated and homogenized, similarly to puchdowns, which is essential for must health. I pull a couple gallons of juice out of the bottom valve and pour it over the top of the tank ten times. After I have completed the bucket over, I pull a small sample and take the temperature of the must. 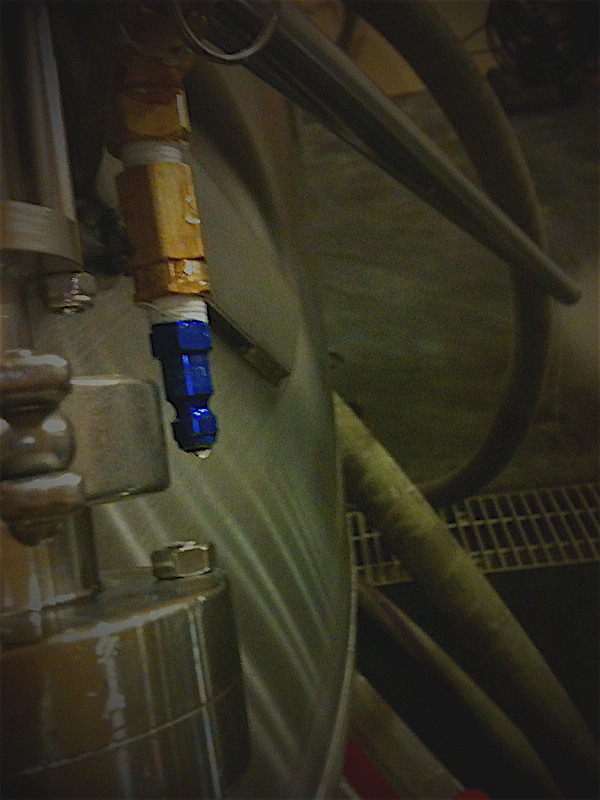 We use machine called a Foss to analyze the chemistry of cold-soaking tanks, because we want to know more than just the brix and pH; in addition we are looking at the nutrient levels (ammonia, potassium and nitrogen) and overall acid makeup of the wine including titratable acid and malic acid. I will go back through the tanks I’ve worked with and update fermentation cards, check the tanknet controller, which is how we control temperature and make any required changes to make sure the fermenting grapes stay happy, healthy and feel loved. At this point I will join the other interns and the winemaking team to take care of the rest of the business. We will do a variety of tasks, such as utilizing a commercial steamer to prepare tanks and barrels for juice and must or wine. We use an Ozone generator and cold water to disinfect all surfaces of equipment as opposed to using chemicals. There is a lot of fruit sorting, pushing full or empty tanks around and into place. There’s always more cleaning. We taste lots of wine throughout the day, always blind. This has been one of the greatest parts of the internship because when you don’t know what a wine is, you are forced to try to decipher what it is “saying”. I have learned that it is close to impossible to “make” great wines if you do not have a firm grasp on what the wine is “saying”. The honest truth, as I’ve mentioned earlier, is that the vast majority of wines produced these days do not “say” much; they have been produced using techniques that are more likely to cloud the original expression of the fruit than express it. In addition there is plenty of topping barrels, fork lifting, gassing tanks, cleaning the floor, pulling drain catchments, pressure washing machinery, packing cases, taking out the garbage and washing glassware. I go back at 2 PM for another round of pigeage if the fermentation requires it and take more samples, checking temperature and brix again. I know I’ve left out a whole mess of daily responsibilities but hopefully this brief look inside the life of a traveling Pinot Noir and Chardonnay junkie has been similar to what I look for in wine: transparent and honest. I love learning and being challenged mentally and physically, which is exactly what internships tend to do, especially if you push yourself. My internship at Rhys has a few weeks left. I’m currently working on lining up my next jaunt around the world. The plan is to head to Victoria, Australia or back to New Zealand in February to continue working with site-driven Pinot Noir and Chardonnay and then I’m off to Burgundy, France in August. I can’t wait.